Nutritionists and doctors agree that this is an essential part of your diet in today’s eating environment. Absorbed much more easily by your body than fish oil, krill oil packs a powerful punch of Omega-3 – the ultimate “superfood” of healthy fats. Omega-3 has been consistently linked to brain health, eye health, bone health, joint health, heart health… The list is just too long to mention here! Not to mention, Omega-3 has been shown to have potent anti-aging properties. Try it for yourself and feel the difference! From the most untouched source on Earth: Expert fishermen capture our krill in pristine Antarctic waters at the southern extremes of the globe and extract the oil right there on the boat. From there, the wild krill oil passes through a multi-stage purification process to ensure there are absolutely no contaminants. Absolutely unbeatable purity: Once we have absolutely pure, pristine Krill oil, we fortify it with extra astaxanthin – a naturally occurring ingredient in krill oil and certain types of micro-algae – which greatly enhances the benefits of omega-3. Then, we quality test the krill oil ourselves and then have an expert third party quality test it as well. It has to come out perfect in every quality test before we send it to you. 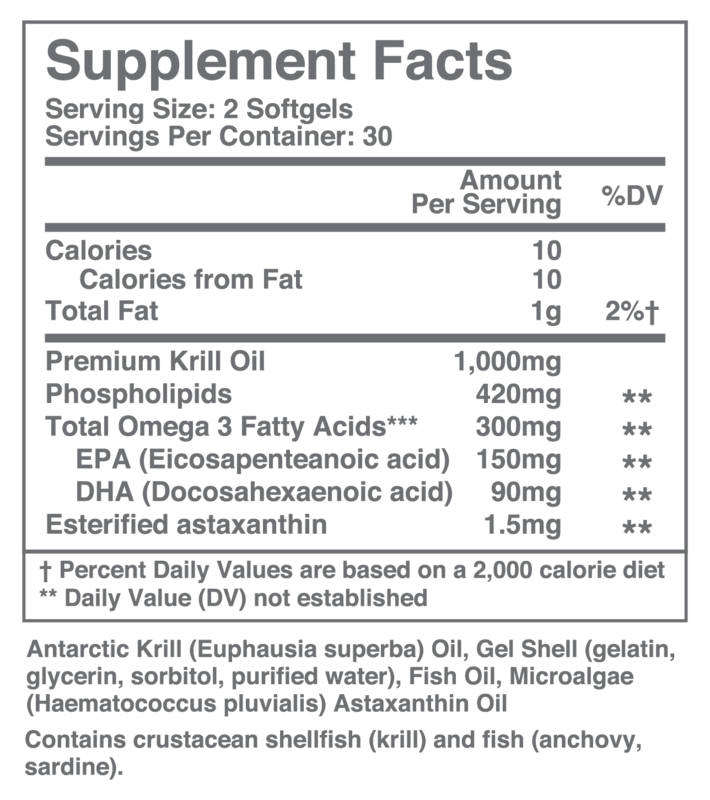 Better than fish oil: Additionally, the naturally-occurring, phospholipid-bound omega-3 in our Antarctic krill oil is absorbed far more efficiently by the body than what you would get from fish oil. Additionally, thanks to our krill oil’s high level of purity, you never have to worry the fishy burps that are a common complaint with normal fish oils. Take 1 soft gel in the morning, and 1 soft gel in the evening, with meals. Krill Oil has over 50% more Omega-3 than fish oil. Research has shown that Krill phospholipids allow for a much greater absorption of Omega-3, and by blending Antarctic Krill Oil with a highly concentrated Fish Oil and algae astaxanthin, a powerful antioxidant, we are able to give you a greater amount of Omega-3 and Omega-6 fatty acids than any other product on the market. Pure and simple, it’s a blend of premium oil from wild Antarctic Krill with no artificial additives, fillers, or preservatives. Because krill is a form of shellfish, individuals that have shellfish allergies should consult with their health care provider before taking this product. 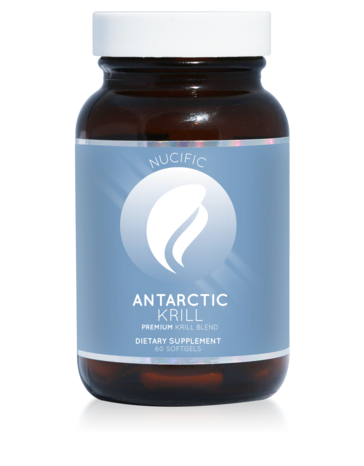 However, there are no known side effects with taking our Premium Antarctic Krill Oil in healthy individuals with no known allergies. No. 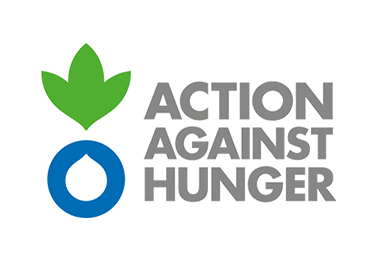 We use only 100% pure ingredients and make sure that there are no contaminants in our products. Plus, krill are found in the pristine waters surrounding Antarctica where accumulations of mercury, PCBs, heavy metals or toxins aren’t a concern as they would be in low-quality fish oil products. 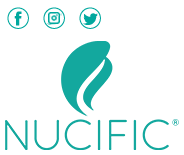 What makes Nucific Krill Oil better than what else is on the market? Our Premium Antarctic Krill Oil Blend contains 1.5 mg of astaxanthin per serving which is SEVEN TIMES more than Krill Oil by itself. Astaxanthin has been hailed as a powerful antioxidant, that can help the body defend itself against cell oxidation and the emergence of free radicals. Not only that but because Krill Oil phospholipids have a higher absorption rate than fish triglycerides, our Krill Oil is blended with Fish Oil, which allows the Omega-3 in the fish oil to bond with the phospholipids in the Krill Oil. The standards set forth in the GOED Fish Oil Monograph are voluntary quality guidelines that are among the highest quality standards for EPA and DHEA Krill and Fish Oils. Even though these are voluntary guidelines, we chose to strictly comply with the highest industry standards in making our Krill Oil.